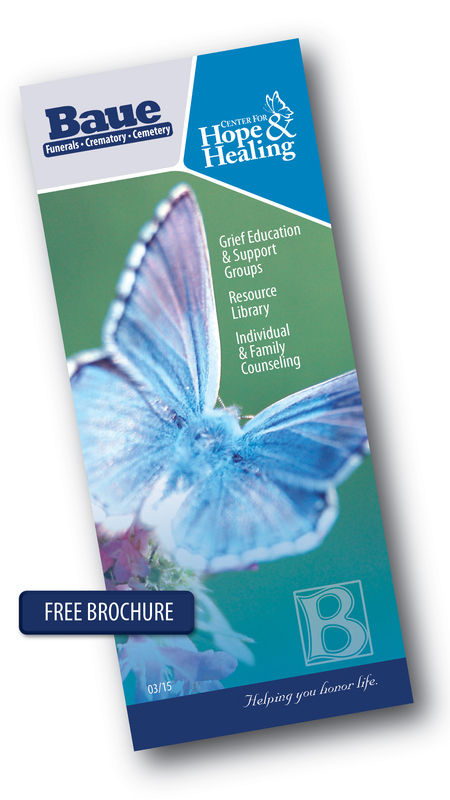 Established as Baue Grief Support Services in 1981, the Center for Hope & Healing has now grown to become the most comprehensive Grief Support Program in the St. Charles and St. Louis County Regions. Our trained staff are here to assist you, please call 636-328-0878 to schedule an appointment. We offer a wide range of support services, learn more and sign up for an event today.